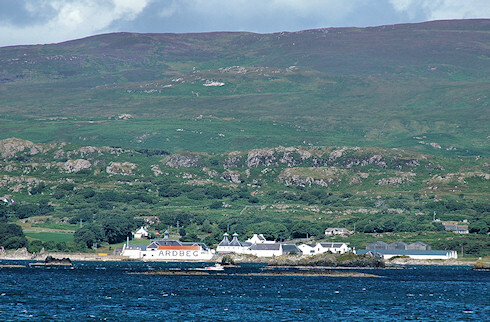 That is of course Ardbeg distillery on Islay's south coast, seen from the ferry to Port Ellen. A small fishing boat passing just in front of the distillery. As usual I will post a larger version (larger as in more than twice as big) on the Islay Pictures photoblog on Saturday morning. That's the first entry for 2010 pretty much complete, have a great weekend and then an even better 2010! Slàinte mhath!